There is no Current Events for now, please check back later. Come see the new treasures we are uncrating! The spring containers just arrived and David Alan Collection looks like a floor to ceiling museum archive and exhibition combined. 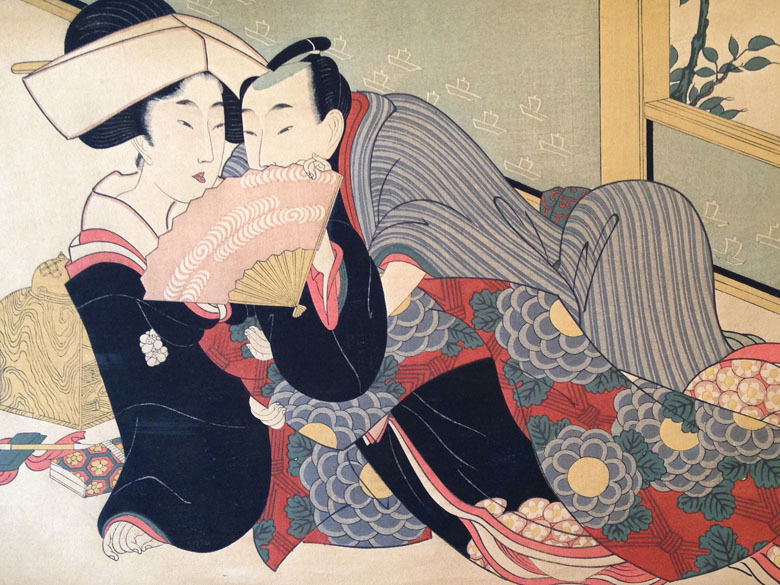 From Japan: Shigaraki ceramic ware, Tansu chests, hand painted Screens, Antique Tools and Utensils, Kimonos, Paintings, Art, Antiques and more. 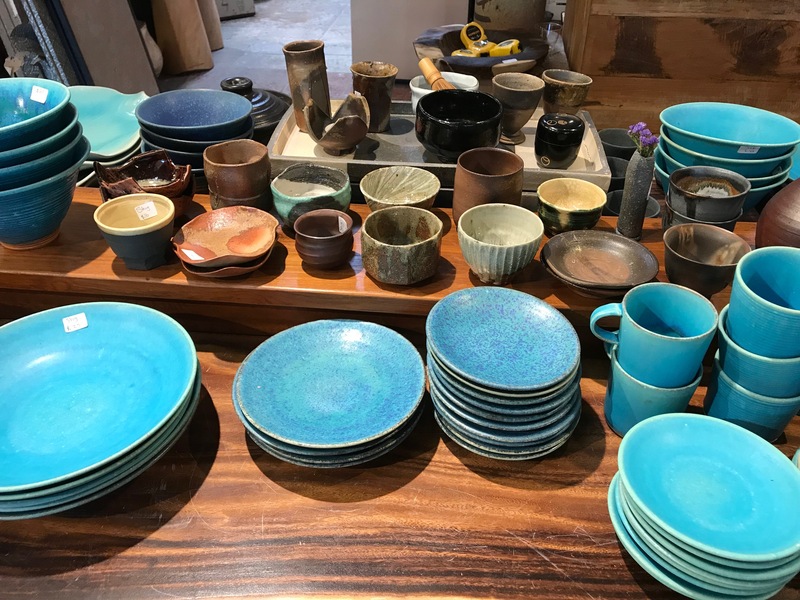 From Thailand: Wood, wood and wood, Solid recycled wood root consoles, Desks and Benches, Live edge slabs of Acaia, Rosewood, Tamarind, Ironwood, 3-D natural element and other wall art, large and small wooden tableware…. Opening night reception – November 9th 6-9pm. “Balancing the Universe” will debut an unprecedented assemblage of over 200 authentic shaman pieces personally collected over two decades from different cultures across Asia – Nepal, Indonesia, Vietnam and Thailand. Some of the pieces, dating back 400 years, have been passed down through generations and invite us to explore some of the oldest and most revered areas of human endeavor – healing and spirituality. Shamanism is well documented as far back as 10,000 years. It is thought to be the first specialized profession and has been found in virtually all cultures across the globe. As healers, sages and spiritual leaders across millennia, the many functions that shaman perform remain unchanged – to keep all things in balance – man, beast, spirits and nature. The range of jobs in their repertoire include what are now many diverse contemporary specializations such as; doctors, priests, artists, and philosophers. We all share the deepest respect for the men and women who have devoted their lives to the physical and spiritual well-being of their communities. We hope this exhibition will take you on a journey into the unknown and that it will be an inspiring, thought provoking, and enlightening experience. We invite and encourage you to visit. All works in the gallery are for sale. 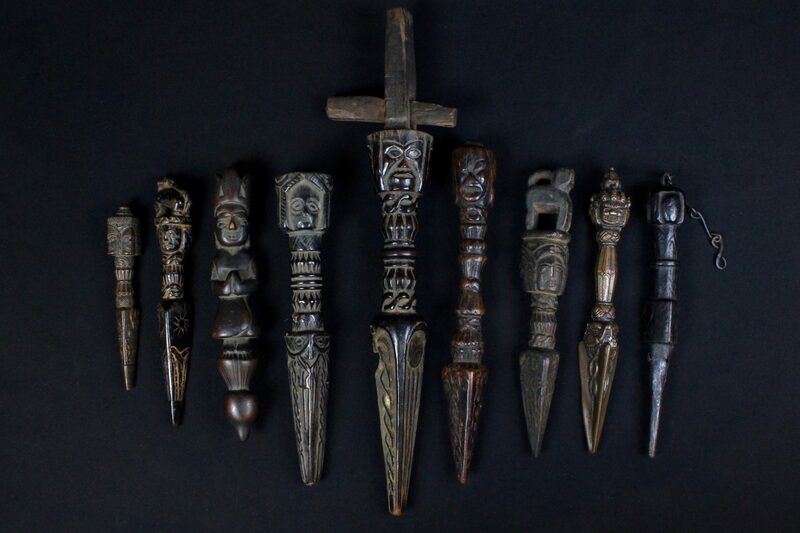 Ritual daggers “Phurba”, early 20th c, wood, metal. We are currently preparing to unload two large shipments that are on the water! The second shipment is from Indonesia will be arriving a week after we unload Thailand. 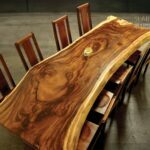 Our entire 2017 supply of single element live edge slab tables will be in this shipment, and will include an amazing variety of species including acacia slabs, mango slabs, tamarind slabs, rosewood slabs, reclaimed teak furniture, and modern root sculptures from salvaged burls and dead trees. We will also be receiving an amazing collection of primitive and ethnic art, Ikat and batik textiles, tribal statues, shamanistic healing fetishes, and more! The tribal and ethnic art that is arriving was all collected by David in Indonesia over the past 5-10 years. We are excited to announce that for the first time since we opened 13 years ago we will be having our first sale! Like a treasure hunt in a museum, come browse the exotic lands of The David Alan Collection and find up to 70% off the perfect piece. There will be some amazing one-of-a-kind antiques and artifacts offered, make sure to come early. Some of our favorite pieces are hiding in the loft and in the Basement! Please visit the gallery for an amazing adventure, and help us make some room while acquiring that special item for your home. In the local world of David Alan Collection, we are having an opening party for the show: “Take 99 ” from 6-9pm on July 28th . We would love for you to attend! You will find all the treats you have come to expect from our parties, from great food and drink to live music and a chance to meet some of the coolest people around. Bring a friend or two! We promise a fun and inspiring evening. 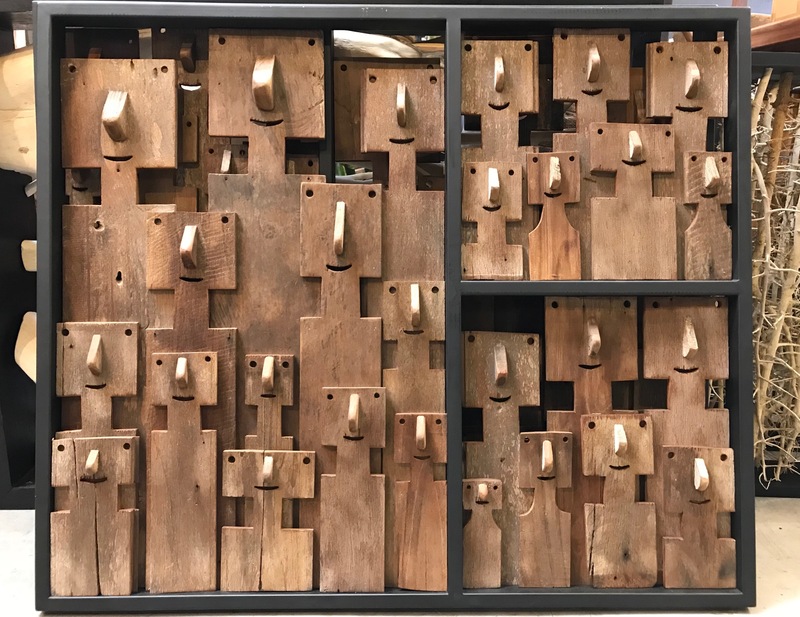 The show itself consists of 99 works by 99 artists in Java and Bali derived from a single form of wood in the shape of a horse/dog. These 12” high forms were given to 120 people in Indonesia to transform in any way they wished to create an art piece. The result is a show featuring a fantastic array of creative expression. We are deeply gratified by the heart and soul the artists poured into their work. 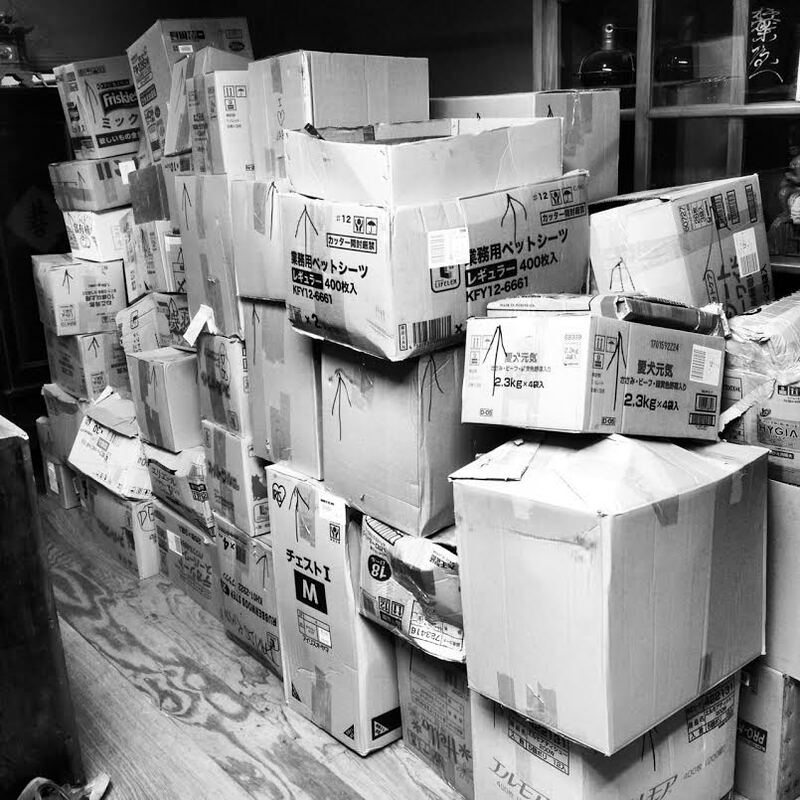 Japan and Nepal shipments arrive! We have recently received shipments from Japan and Nepal. The Japan container was filled with antique pieces I found in the Kyoto area, from ceramics of the famous kiln town of Shigaraki to a dozen rare and beautiful stone lanterns from 80 to 600 years old. From far Eastern Nepal came pieces I collected from villagers I met along the trail I trekked in May to the base camp of Kanchenjunga, the third highest mountain in the world. These hand beaten copper pots and other beautiful, hundred year old kitchen utensils were carried by my team of intrepid porters from villages at 12,000 &#39;to 16,000&#39; altitude to Kathmandu and air shipped from there. Please see the Nepal Trekking story inside. 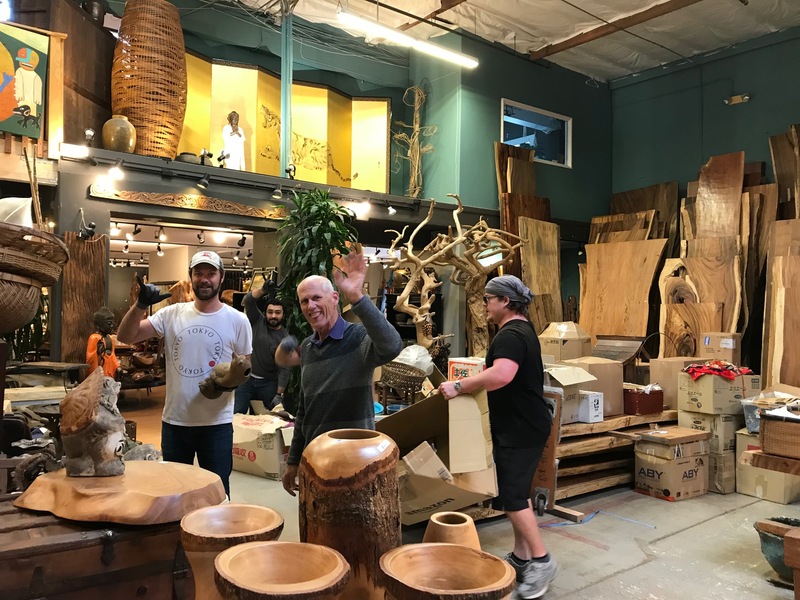 Our latest Bali container will arrive in late August after the opening of our July exhibition “Take 99” closes, it will be packed with some of the most beautiful, hand crafted works we have ever found or created. Please come by for the show and to hear the stories behind the collection. 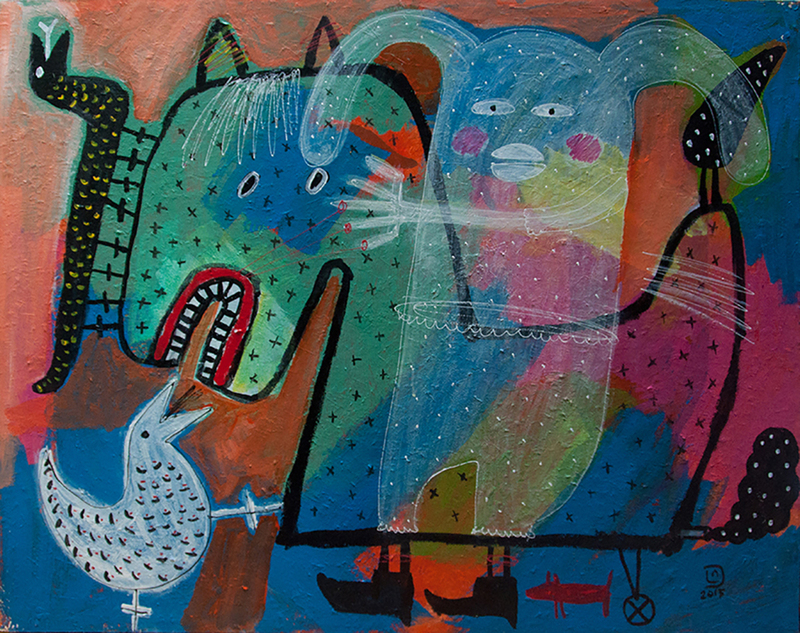 We are excited to announce the “Lindu & Friends” Contemporary Indonesian works of Art exhibition will open Wednesday July 22nd with a private evening reception. Following the opening night gala, the show will run through August 13th. 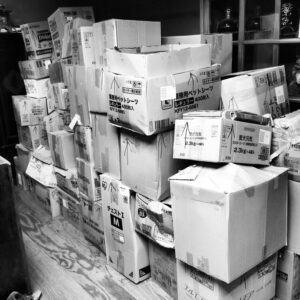 Boxes full of Japanese art, antiques, and artifacts! Stop by the Gallery after June, 15th to see what gets unpacked. Both our Thai ad Indonesian shipments will be arriving in port between December 16th-23rd. Depending on logistics we may be unloading them late December or the first week of January. If you have special orders we will be contacting you shortly. 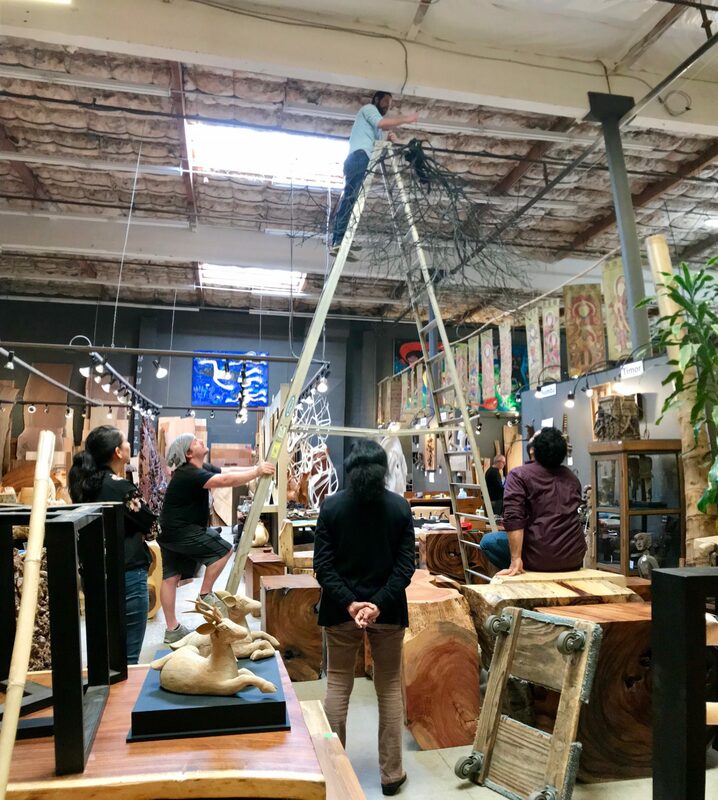 If you want to visit the gallery to check out some amazing new pieces, or if you have been searching for anything in particular please touch base with us by calling the gallery at 858.481.8044 for exact unloading dates. See you soon. Please join us from 6-9pm Thursday, November 13th for the opening night reception of “The Artistic Journey of Japanese Wood Block Printing: From Meticulous Craft to Miraculous Fine Art”. We have planned a wonderful evening full of art demonstrations, great food, tasty beverages, music, and fun friends. We are looking forward to seeing you! Please sign up on our contact page under “Newsletter” to receive more information and the official invite, thanks. Indonesia container arrives, estimated unloading August 20-26th.